HC dismissed the case and allowed the trial court to go for a criminal proceeding against Dr Sanyal. Finally, today the court convicted him for the negligence of duty. Agartala: The Chief Judicial Magistrate of West Tripura convicted a leading surgeon Dr Pratap Sanyal under Probation of Offenders Act for the negligence of duty while treating the patient in connection with a case of 2006. He was earlier paid Rs 2 lakh to the patient party as compensation following order of consumer court. The order also directed the Probation Officer to report before the court from time to time and to report in this matter, if necessary. Accordingly, Probation Officer appeared the court and took the bond from the convicted doctor. Dr Sanyal was a government doctor and had been practising in his wife’s nursing home was accused of stitching the patient’s body without removing the corrugated drain pipe from the patient’s abdomen, which had been inserted during surgery procedure owing to his insincerity in January 2006. The patient party immediately contacted the doctor after discharging from the nursing home when she felt pain in the abdomen, stated the patient’s husband and a leading Photo journalist Bapi Roychodhury. The patient Shrabani Deb, librarian of a government degree college went of CT scan in Agartala Government Medical College as advised by her Physician and detected an eight-inch long corrugated rubber drain pipe inside but when she reported to Dr Sanyal, he disbelieved it. “Dr Sanyal sent us to another private diagnostic centre at Agartala where the doctors found the drain pipe inside but refused to give me the report and advised me to go for consult Dr Sanyal. In the procedure, I lost almost eight months and suffering of the patients went up,” Mr Roychodhury alleged. Mrs Deb started experiencing some complications few days after the operation and accordingly it was brought to the notice of Dr Sanyal, but he refused to make any further clinical investigation of the patient, Mr Roychodhury alleged. However, in October 2007, a Kolkata based hospital operated Mrs Deb again and took out the drain pipe from the patient’s right lower abdominal wall, part of which extended intra-abdominally, which was inserted during gall bladder operation at Agartala. Nevertheless, Dr Sanyal allegedly refused to accept the findings of the report and misbehaved with the patient and his family. Finally, a complaint was lodged by the patient for certain “insincerity” on the doctor’s part during laparoscopic surgery in a private nursing home. 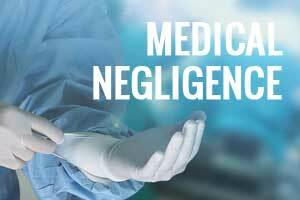 During the trial in the lower court, the accused doctor insisted for an inquiry committee when the police charge sheet accused him for medical negligence from the part of a Surgeon and court allowed. Interestingly, the committee made a report stating displaced or missing of drain pipe after the operation is rare and boosted Dr Sanyal saying that he was quick to react to the situation and the problem with proper skill and tact. The lower court when proceeding for trial on criminal negligence on the part of the doctor, Dr Sanyal filed a petition to the high court in 2011 against the trail. However, HC dismissed the case and allowed the trial court to go for a criminal proceeding against Dr Sanyal. Finally, today the court convicted him for the negligence of duty.